Beginning in spring 2012, the State of Texas Assessments of Academic Readiness (STAAR™) will replace the Texas Assessment of Knowledge and Skills (TAKS). 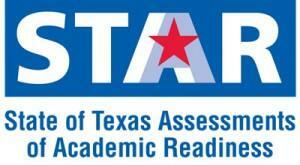 The STAAR program at grades 3–8 will assess the same subjects and grades that are currently assessed on TAKS. At high school, however, grade-specific assessments will be replaced with 12 end-of-course (EOC) assessments: Algebra I, Geometry, Algebra II, Biology, Chemistry, Physics, English I, English II, English III, World Geography, World History, and U.S. History. Confidential student information cannot be shared over the phone, but parents may contact their campus principal to arrange a conference to discuss their child’s results. Questions related to STAAR may also be directed to Joey Geletka, AISD Deputy Superintendent for Curriculum and Instruction at 903.796.4194 ext. 1012.